1. 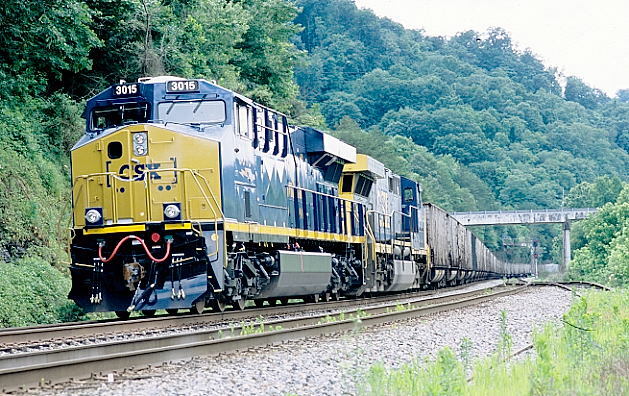 CSX 398-HLCX 7903-CSX 8090 on w/b X901-09 at Betsy Layne, Ky. This was a train of low side gons going to Wixom, Mich., for an unknown reason. 6-10-2012. 2. 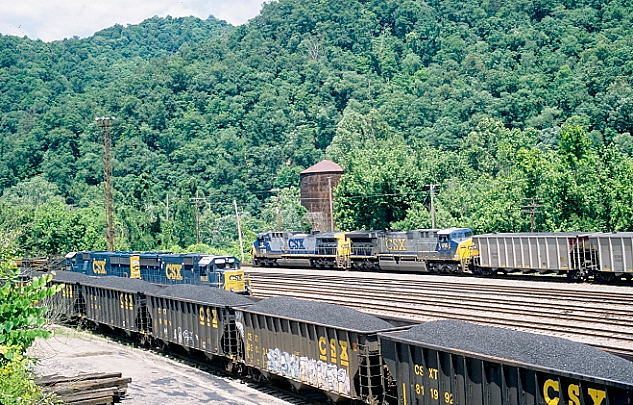 CSX 729-8224 on w/b Q697-05 passing Coal Run Jct. near Pikeville. 4-6-2012. 3. New CSX ES44AC 3015-602 on e/b stopped off crossings at WE Pauley. 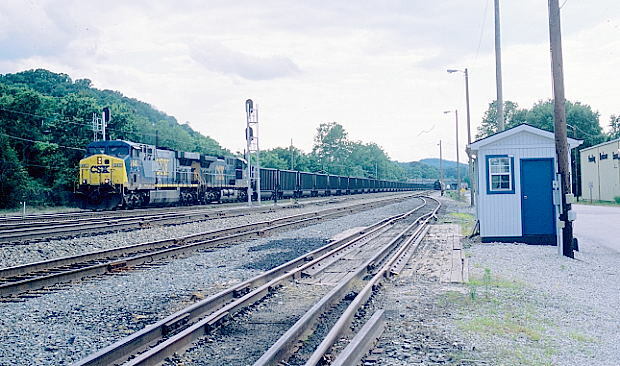 That's Coal Run Jct. in the background. 6-1-2012. 4. 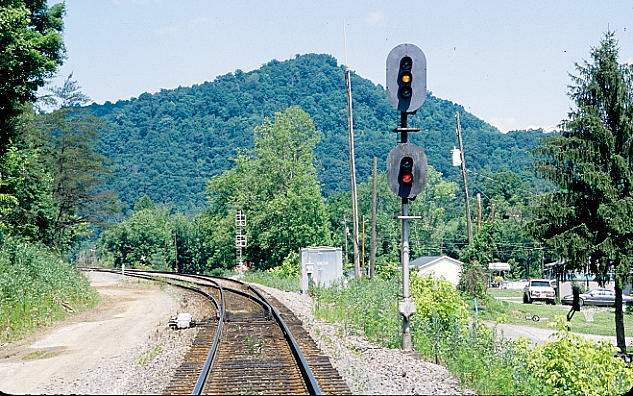 Lykens Creek crossing and the signals at WE Pauley are in the background. Years ago this was the location of the Coal Run flag stop. 5. New ES44AC 3012. 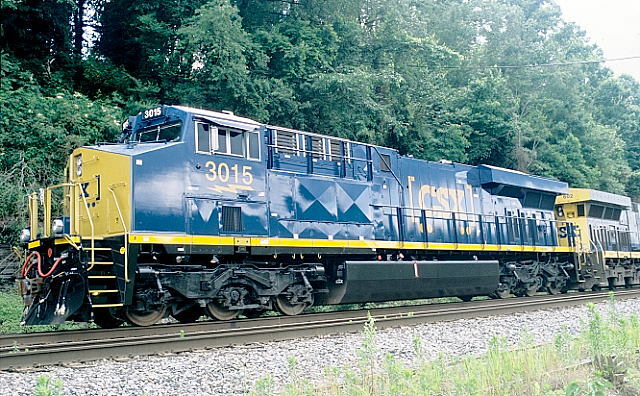 CSX calls this an "ES44AH". 6. 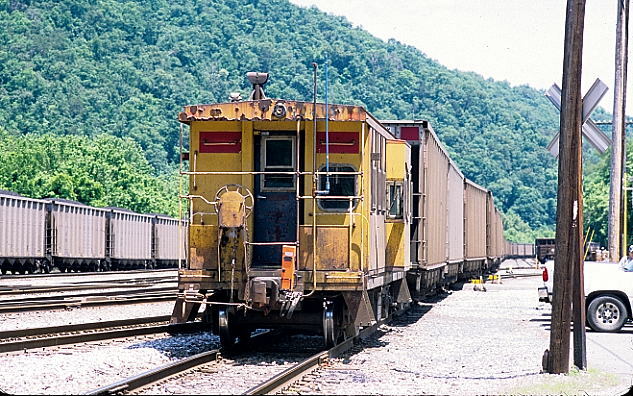 Former C&O cab 904107 brings up the rear of a Myra Shifter arriving Shelby off the SV&E Sub. I shot a Myra Shifter after this, and they didn't use a caboose. 5-20-2012. 7. 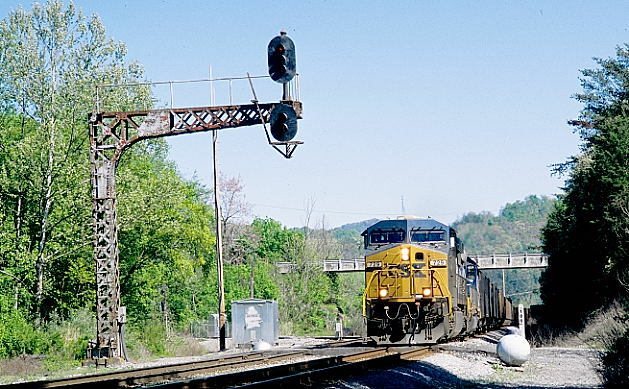 Approach signal at the EE Shelby on the main line. Yard lead on the left. 6-3-2012. 8. 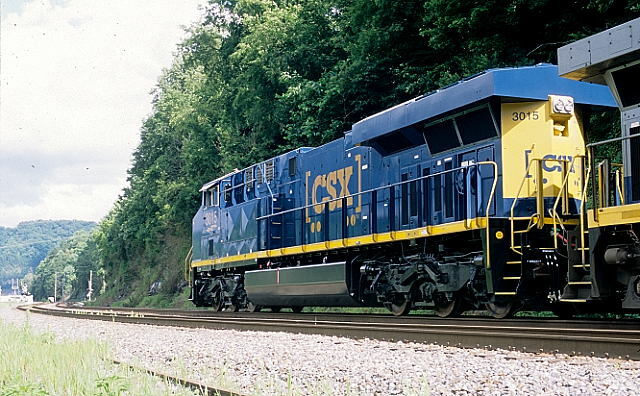 CSX 115-616 on n/b U296-02 (SCWX empties) starts braking his train for a stop at the yard office for a re-crew. 6-3-2012. 9. 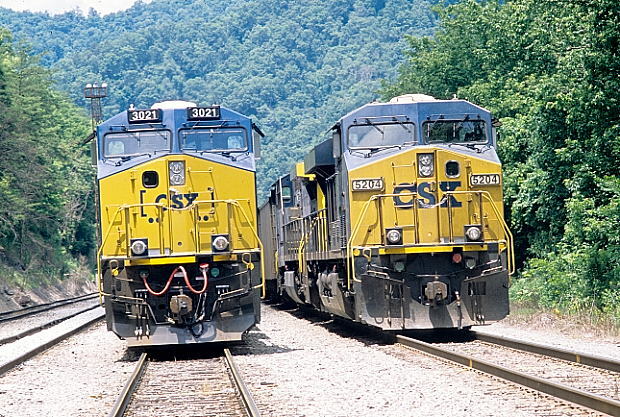 CSX 801 pulls up to the "VIP walkway" with Q699. CSX 425 on Q697 sets off an engine before departing for Russell. 7-22-2012. 10. 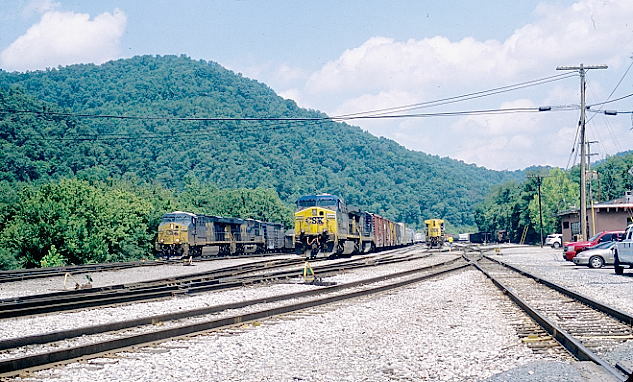 New ES44AC 3021 and ES44DC 5204 await crews at the EE of Shelby. 5204 is on the main line. 6-23-2012. 11. 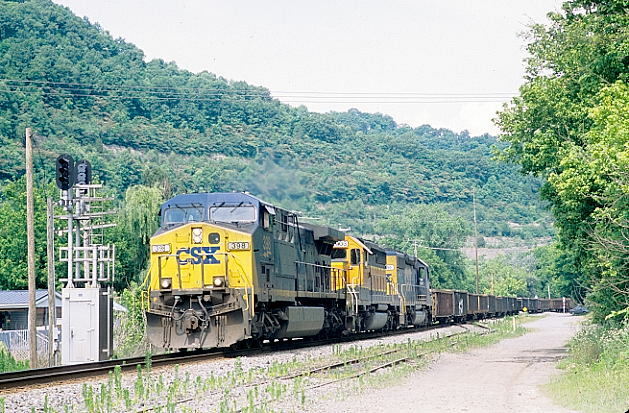 CSX 640-349 with e/b coal train passing South Charleston Yard scale track on 6-2-2012. 12. 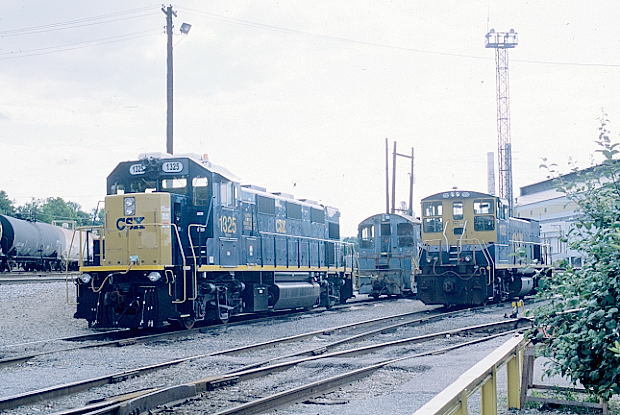 CSX 3GS21B-DE "Genset" 1325 and MP15AC 1132 doze away a Saturday afternoon at S. Charleston yard. 6-2-2012. 13. 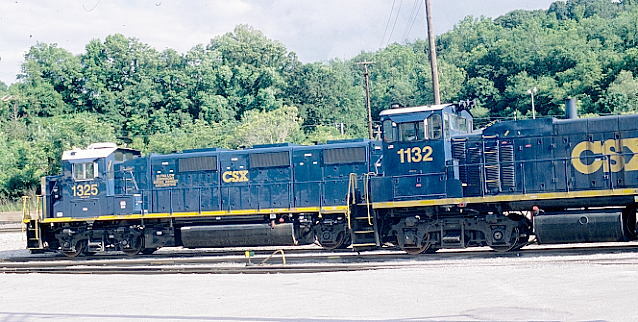 CSX 1132 and 1325. 14. JDNX SW8 201 is ex-Stirrat Coal, exx-Sprouse Creek Coal, exxx-N&W and nee-NKP. JDNX is Don's Railway Service, I believe. The engine was in rough shape.